But with this kind of attention she get freaky and wants to show me that it is fun. This can look like a fight with the rug. 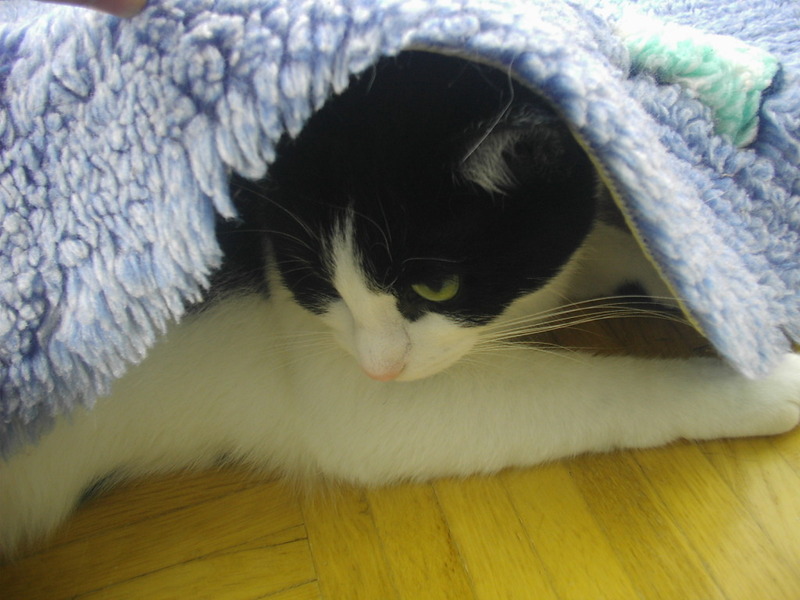 And later if she calmed down, then she is just relaxing under the rug like on the photo above.